Fivefold Ministry is a radical form of the Christian Faith. It’s radical, as in the rudimentary definition of the word radical, meaning “the root”. To pursue Five Fold/APEST ministry is to rekindle the primal fire of the original DNA of the Church. The reason that we are doing so much talking about the Five Fold/APEST/5Q is because we find this pastor heavy ministry or pastor/teacher heavy ministry in the majority western church today. You might have differing theological opinions about this, and with good reason, however, the incontrovertible fact is that the way we are doing ministry is taking a great toll on those called to be in ministry the way we currently practice it. It doesn’t have to be this way! 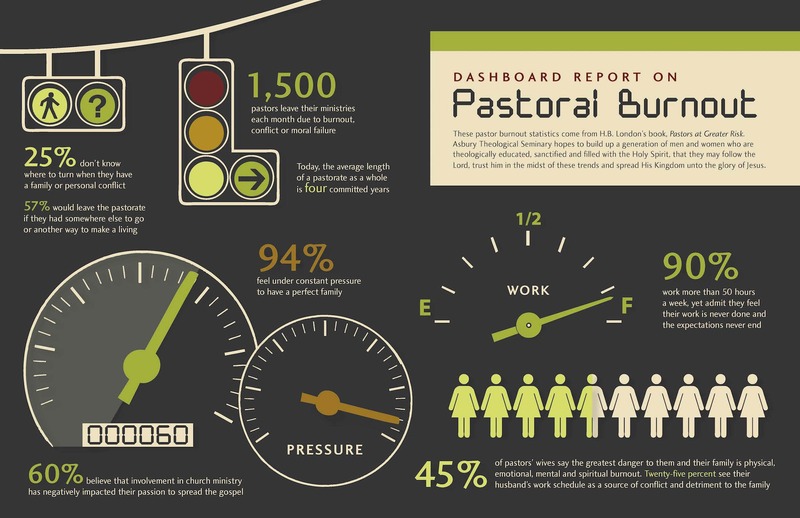 Pastor burn-out and depression does not have to be SOP, but it is going to mean change. Isn’t that what we started doing this thing for? Didn’t we see Jesus and fall in love with that Incarnated Insurrectionist? Weren’t we prepared to chase him toward death just to see the kingdom move on earth? What happened? I thought we were a revolution. I thought following Jesus was supposed to be dangerous and risky and unavoidably exciting. I thought comfort and safety were the enemies of the Gospel. Where’s the joy of leaping into the unknown full of trust, but without a clue? Where’s the fear of getting everything wrong but doing it anyway? Have we lost it? Maybe so. There’s a way to get that back, though. We are going to have to lean into the “C” word: Change. We are going to have to re-orient ourselves to the song of our Savior; to align to the moving target that remains the eternal Kingdom of God, the dance of the Body of Christ, the symphony of the ministry of the gifts of grace. If we choose the risk, the danger, the change and dive deep into the Five Fold reformation of the Body of Christ, we will see a resurgence of God’s power at work in the Church: exponential growth in the life of disciples and the numbers in our gatherings, a deep hunger to participate the Gospel movement, a passion to share the heart and thoughts of Jesus and an unquenchable hope in the Promises of the Father. 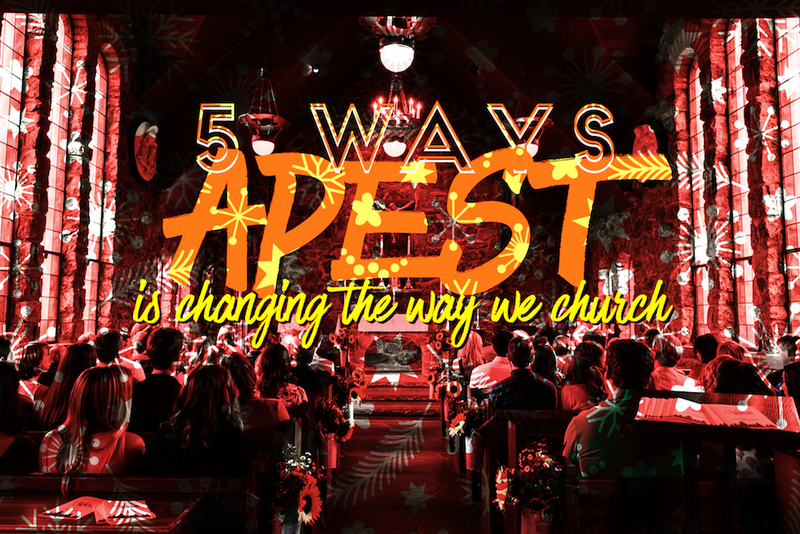 Singing along with Nathan Brewer, here are five ways that we can change the way we church and become…well, become nothing short of the Revolution we are genetically wired to be. When we embrace a Five-Fold approach to being the Body, we begin to see the gifts of Jesus at work in the people of God. It’s very different from what we know up to this point: Consumers showing up to worship banquet to be fed week in and week out. APEST Christians do more cardio than eating. They learn “calories”, but then go out onto the streets and burn them. It isn’t about Bible study, it’s about Gospel living. Five Fold Teachers don’t create theological buffets to be consumed, they create learning environments for disciples of Christ to be transformed. The Disney movie “Wall-E” gives a harrowing warning to those who would have everything done for them, fed to them. In other words, it’s not about coming the church and “being fed;” it’s about becoming the church and doing the feeding. Every member becomes a cook, not a consumer. If we are all gifts to the world through the Church, then disciples of Jesus aren’t entertainers and keepers, we are equippers and senders. For a long time, Church Inc. has worked really hard to provide compelling programs that “keep members” instead of building relationships that create Christians. When get on board the Five Fold train, the first stop is “becoming.” We are a people who have been called to be a dynamic example of God’s power and love on the earth. We become that, we don’t go to it. The church is not a destination, or a location; the Church is a people. We can no more go to Church than we can see electricity. Sure, we meet in buildings, but we are the Body. The Five Fold re-energizing our missional DNA. It releases members of the Body into the world wielding the Word, the Spirit and the power of Jesus. Five Fold is step toward seeing the Church as a Body and not a building. That doesn’t sound like escape from Mordor, does it? It’s an invitation into second chances. There’s a profound degree of generosity in Jesus’ invitation that isn’t found in the turn from your sinfulness or burn in the eternal fires of Mordor. Everyday is an opportunity to listen to the story of someone and help them see where God is at work in it. To see the world as a library of lives waiting to be read. When we take a defensive posture, despite our best intentions, we end up protecting systems and practices that teach instead of disciple, inform instead of transform and program instead of plant. Jesus used rich agricultural metaphors: planting and sowing, dying and growing. There’s a cycle involved in the With-God life. It’s ongoing and exponential. Preservation is the language of survival, the body of Christ isn’t conversant in that tongue. Exponential is the language of thrival. We are fluent in that! Leaning into the Five Fold gifts of all members creates a constellation of ministry, a network of gospel interaction, a rhythm of grace: Apostles will create and plant, Prophets will straighten and maintain, Evangelists will recruit and inspire, Shepherds will gather and strengthen, Teachers will transform and equip. Do you feel the call to change? Which of the five resonates most deeply?